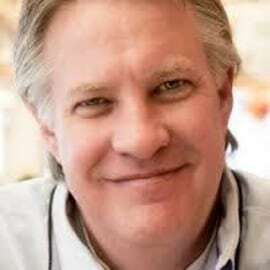 Robert Tipton, Founder and CEO of R S Tipton, Incorporated, is a practicing change architect and facilitator, keynote speaker and author, who lives, breathes, sleeps and eats transformation. His real world stories are based on recent, relevant experience-in fact, it’s likely he’s just gotten off the phone with a client just before he jumps on stage to speak about creating real, sustainable organizational health and performance. His clients span the gamut, from Fortune 50 businesses, to governmental agencies, educational institutions, non-profits and public infrastructure initiatives-but one thing is central in all of them... They’ve usually tried other approaches to change first, and have failed. He’s a former CIO/CTO in corporate life, as well as the managing director of a major marketing and branding firm. He’s been “in the arena” for more nearly four decades, architecting and facilitating transformational approaches for his clients and his employers. The author of three books, he’s been a keynote speaker for more than 30 years, inspiring audiences across the world to look at the process of change very differently. One of his favorite sayings is, “Change is Hard!- Until it Isn’t...” And, change isn’t so hard when we choose it. Change can be VERY difficult if we mandate it.